​Muir Young is the third generation of his family to farm at West Spittal Farm in Stewarton, Ayrshire, milking a herd of pedigree Holstein and Ayrshire cows and farming 350 acres of owned and rented land. With around 300 head of cattle on the farm at any one time his two Case IH tractors, a Farmall 105U and a Puma 175 CVX special edition, have plenty to do. 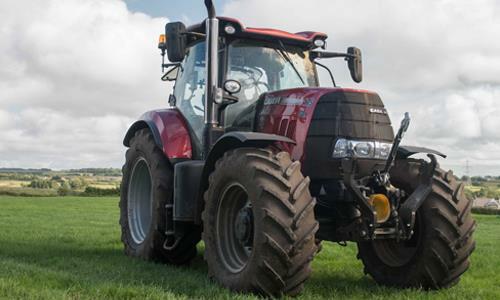 The Puma 175 CVX is the one that is used the most, however, clocking up around 500 hours per year and used for all the heavy jobs such as power harrowing/land levelling, reseeding and slurry spreading. At silage time it is used for mowing; Muir uses contractors for chopping and hauling clamp silage but also makes big bale silage in partnership with his neighbour, using their Fusion baler together with his Puma, turning out around 1150 bales per year across the two farms.